A selection of perky wooden spatulas from Poland in different styles: smiley faces, hearts, slats or plain. Cheap and cheerful! 5.5 cm wide x 30 cm high approx. Please note: we have a minimum order of £10. Why? 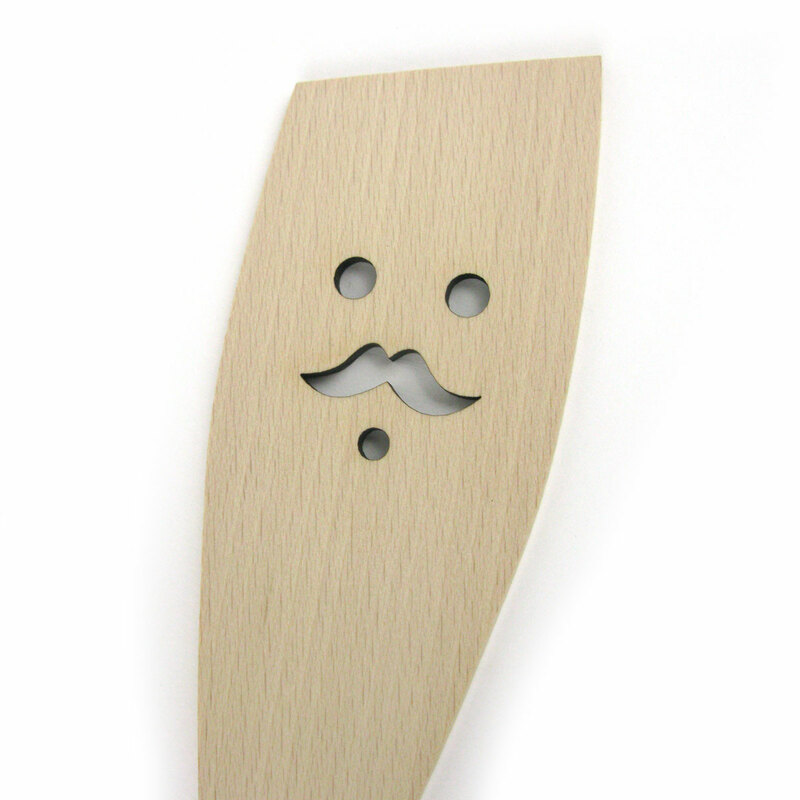 Perk up your kitchen with a choice of characterful spatulas from Poland with smiley faces or hearts cut out of them. Also available as plain versions or slatted. The designs are cut out of the wood and some of them have facial characters burnt into them too. Cheap and cheerful! Dimensions: 5.5 cm wide x 30 cm high approx.